Amid new U.S. tariffs on steel, aluminum and other goods and retaliatory tariffs imposed by the affected countries, companies are scrambling to rework their supply chain and shield their businesses from the disruption caused by the tariffs. Analysts at Morgan Stanley estimate that the U.S. tariffs along with the retaliatory duties imposed or under consideration by trade partners will affect 1 percent of global trade, according to a Reuters report. But for some companies, that 1 percent covers a much larger share of their supply chain. How this latest trade dispute between the U.S. and its trading partners will be resolved is anybody’s guess. Also uncertain is the exact effect the tariffs will have on the U.S. and global economies. As a result, many companies are reluctant to take action that could take years to pay off. As a general rule, companies regularly examine supply chains to make them more competitive, but few companies routinely identify their vulnerability to trade risks beyond their primary suppliers. These uncertain times are forcing companies to do just that. many companies are reluctant to take action that could take years to pay off. Supply chains, especially complex ones established decades ago, cannot be shifted to different countries or facilities easily nor quickly. Many manufacturers work with contracts six to nine months in advance of delivery, while others have multiyear contracts with their suppliers. Some companies, such as medical device manufacturers, need regulatory approval to change suppliers. The companies that seek out new supply partners will need to onboard them much faster than in the past, a complicated process that usually involves partner profiles, legacy systems, custom coding and new systems to securely exchange order, invoicing, shipping and payment data. Other companies have no domestic options for the raw materials and components they currently import from foreign countries such as China. Without viable alternatives to their existing suppliers, they have no choice but to stay put. Supply chains are global, with raw materials and goods constantly moving across borders, and costly. Anything that disrupts a supply chain—such as the new tariffs—can disrupt margins and profitability. 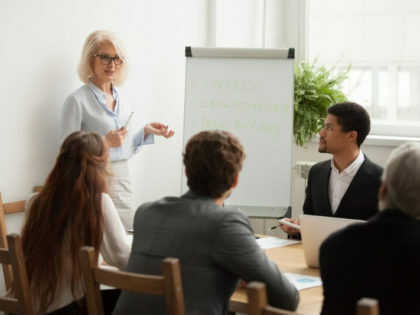 Companies that have lean, agile supply chains and that rely on continuous contingency are better at managing disruptions caused by trade conflicts, Forbes recently pointed out. It makes sense: scenario planning and analysis helps them work out their tolerance around cost drivers they cannot control, such as tariffs and retaliation. Anything that disrupts a supply chain—such as the new tariffs—can disrupt margins and profitability. Sensitivity analysis that monitors what happens when particular cost drivers go up or down, based on the metrics that have the most impact on the supply chain, can be extremely helpful. In some cases, hiring a supply chain consultant may be the way to go. Renegotiate terms with suppliers and, if possible, lock them into a long-term deal while pricing is still favorable. 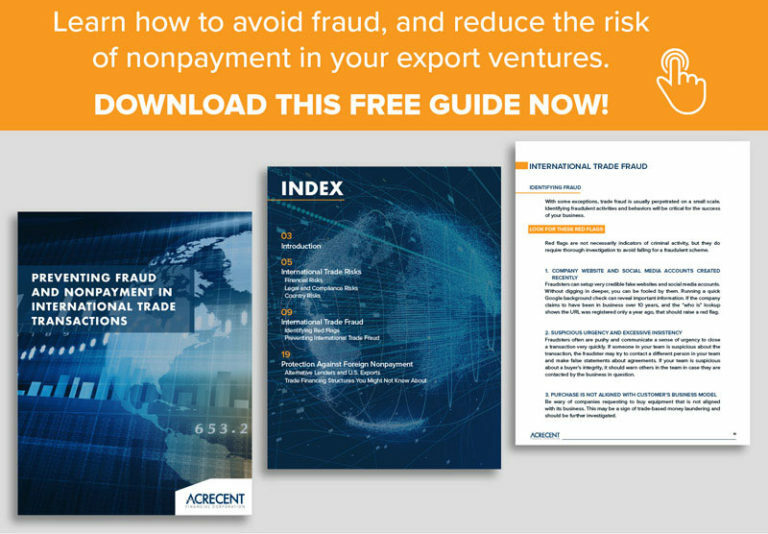 Examine the timing, trade terms and country of origin provisions in your contracts and build supplier action plans based on the findings. Evaluate demand forecasts and provide visibility to suppliers. Diversify your supply chain. Consider establishing supplier relationships in other countries, shifting production of finished goods to low-cost countries, or importing higher value finished goods. Develop resiliency in your distribution networks to ensure timely access to key inputs of your goods. Perform a risk assessment of the supply chain. Create “what if” models that illustrate the financial risks associated with existing and potential trade policies. Design supply chains that have onboarding and visibility capabilities built into their systems. Choose the right technology to collect and consolidate data from many sources and provide user-friendly analytics. Build a digital twin or model of your supply chain and test the impact of any potential changes and risk scenarios on it. Prioritize risk management over cost savings by focusing on regional rather than global supply strategies. Trade disruption insurance protects a company’s income in the event the supply chain is disrupted due to risks such as war, embargoes and trade restrictions. Contract frustration insurance protects a company’s account receivables if is concerned that a government buyer may not paid due to credit concerns or political risk. Expropriation covers interference such as political retaliation from a foreign government halting the ability of the company to operate. 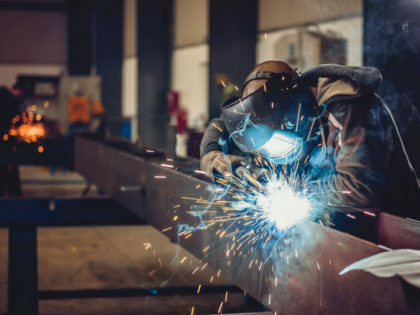 New tariffs, trade wars and all the uncertainty they breed can be a stressful time for manufacturers and other companies, especially small businesses. 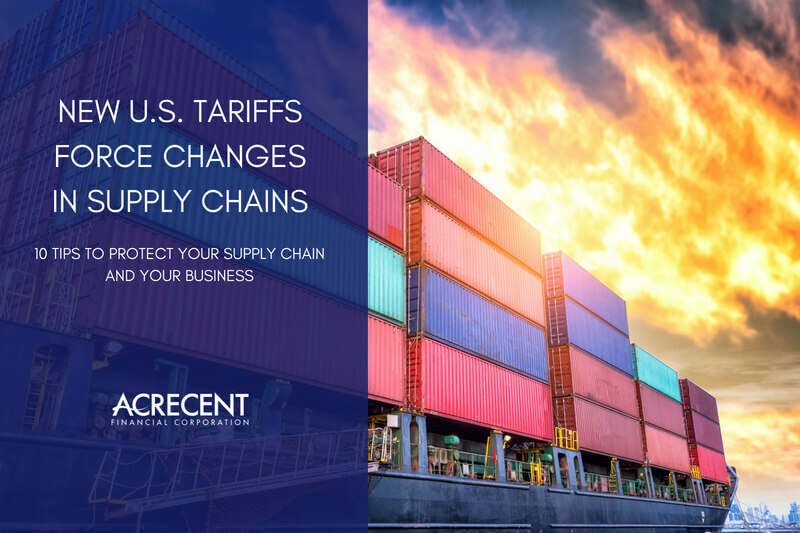 Evaluating how these changes affect your supply chain and making the adjustments necessary to mitigate their impact is a must to navigate the turbulent waters of today’s international trade policies. A tariff (also called a duty or levy) is a tax placed on a particular class of imported or exported goods. Governments use tariffs to protect their domestic industries and raise revenue. Tariffs discourage imports by making them more expensive. Governments also use tariffs to punish foreign countries for committing unfair trade practices. For example, the 25 percent tariff on imported steel means that a U.S. company importing $200,000 of steel made in Canada would have to pay $50,000 in tariffs to the government, thus increasing the price of steel and that company’s costs, which are likely to be passed down to consumers. A 25 percent tariff on steel imports and 10 percent aluminum imports was implemented on March 23 on the grounds that other countries’ trade practices are endangering American national security by undermining domestic production. The new tariffs are based on a Cold War-ear law that allows presidents to curb imports they deem threatening to national security. This administration claims that an undermined domestic metals industry would leave the U.S. vulnerable if an event or conflict were to disrupt the flow of trade. For decades, U.S. steel and aluminum companies have complained of unfair practices by overseas competitors. China’s state-subsidized production, for instance, can flood the global market with these metals, thus reducing prices and making U.S.-made steel and aluminum more expensive than it would otherwise be. Trade allies affected by the tariffs, such as Canada, Mexico and the European Union, have threatened to retaliate or already have retaliated with tariffs of their own meant to cause economic or political pain. On June 22, the EU imposed retaliatory tariffs on 180 U.S. products, including cranberries, jeans and bourbon, worth some $3.4 billion in exports. This administration has accused China of unfair trade practices that include “dumping” steel (selling at below cost). The U.S. and China already have imposed tens of billions of dollars in tariffs on each other’s goods. The U.S. annually imports about $505 billion in goods from China. The main risk here is not that steel and aluminum will be more expensive, but that an entire system of global trade might be weakened. On July 16 the U.S. launched formal challenges against the EU, Canada, Mexico, China and Turkey at the World Trade Organization (WTO) in response to retaliatory measures taken by these countries on American-made products. Meanwhile, the plan to impose a 25 percent tariff on imported cars, trucks and auto parts has been blasted by automakers and foreign governments. Mexico and Canada have vowed to retaliate. The winners are the U.S. steel and aluminum industries. The losers are the industries that rely heavily on these metals—the auto, aerospace, construction and heavy equipment industries, whose share of the U.S. economy is much larger than the share of steel and aluminum producers. The tariffs will immediately raise their prices. Consumers will likely be among the losers because products containing these metals will become more expensive—from cars to beer that is packaged in aluminum cans. The price hikes are not expected to be significant because production of those goods involves other raw materials and systems that also affect the prices consumers pay. Furthermore, some producers will absorb the higher cost of the metals, some will pass it on to consumers, and others will split the difference. Sources: Reuters, AP, Industry Week, Forbes, Bloomberg, USA Today, Inc. Magazine, The New York Times, Risk & Insurance, Manufacturing.net.